This content has a time-based free trial which provides the user with free access to the content for a limited time period.Embark on a wild match-three adventure! 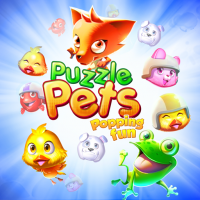 Play with the cutest animals ever in this addictive match-three game! Visit colourful, magical lands that you must protect from the hazardous wilderness that's closing in.